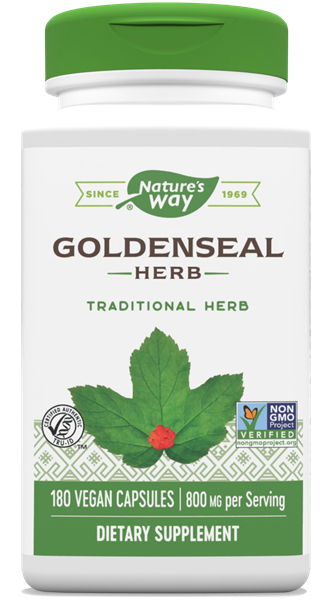 Goldenseal Herb / 180 Caps - Nature's Way®. Guaranteed to contain 1.5% total alkaloids. Take 1-2 capsules daily with meals. For best results use continuously for at least one week.